As news spreads of the growing use of GPS ‘jamming’ technology to block systems meant to track stolen cars, stolen vehicle recovery (SVR) experts Cobra are urging motorists to outwit thieves by investing in a system that is immune to GPS/GSM jamming. Jamming devices, which are readily and legally available on the internet to buy, and can be brought into the country within days, pose a real risk. When these devices are turned on inside a vehicle they create a bubble ranging from 3 meters up to 500 metres jamming any GPS receiver or transmitter. Therefore rendering any GPS based tracking installed on the vehicle, useless. Unlike any other provider of SVR systems, the Cobra, Cobratrack Plus system combines GSM, GPS and anti jamming technology to create a very durable tracking device. Resilient to these jamming devices, the Cobratrak plus offers vehicle owners the best protection from this growing threat. Recently, engineers began monitoring traffic on a dual carriageway outside London, and compared it with traffic on roads inside the City of London*. They discovered regular use of jammers, with 10 incidents per day by some roads. That would translate to thousands of users around the country, given the amount of traffic on the road. “The current over-reliance on GPS as a security and recovery system increases the threat of jammers. Although GPS has a part to play, current UK standards do not recognise the impact of its vulnerability, while more and more UK car owners fall victim to attack from thieves using jamming devices. Safe & Sound Vehicle Systems Ltd strongly advise consumers to choose a system that provides a more resilient solution and, better still, one that delivers multiple means of location and communication. 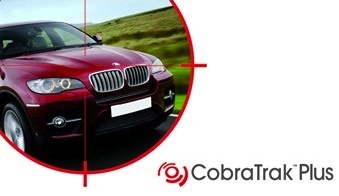 Please browse our Cobratrak Plus Car Tracking Systems by clicking here.